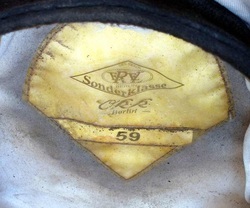 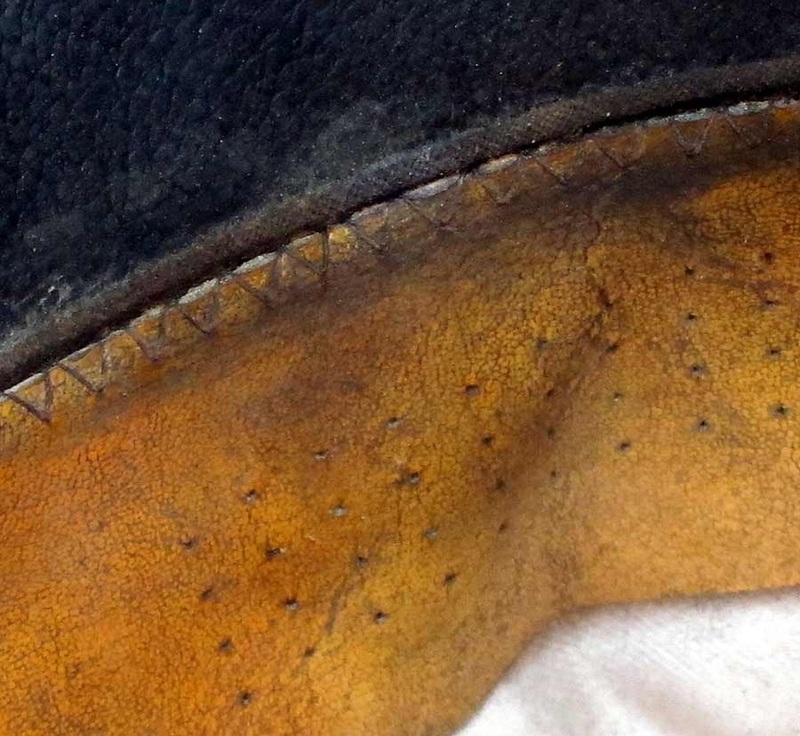 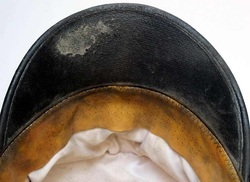 The top is fully removable and it is marked EREL - Sonder Klasse - OKK - Berlin on both liner and sweat protector. This cap is made in Germany and the EREL mark is copyright making it even more exclusive. The Eagle is our museum quality item with medium corrosion stains. 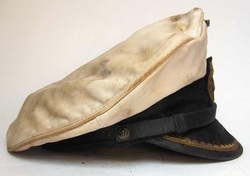 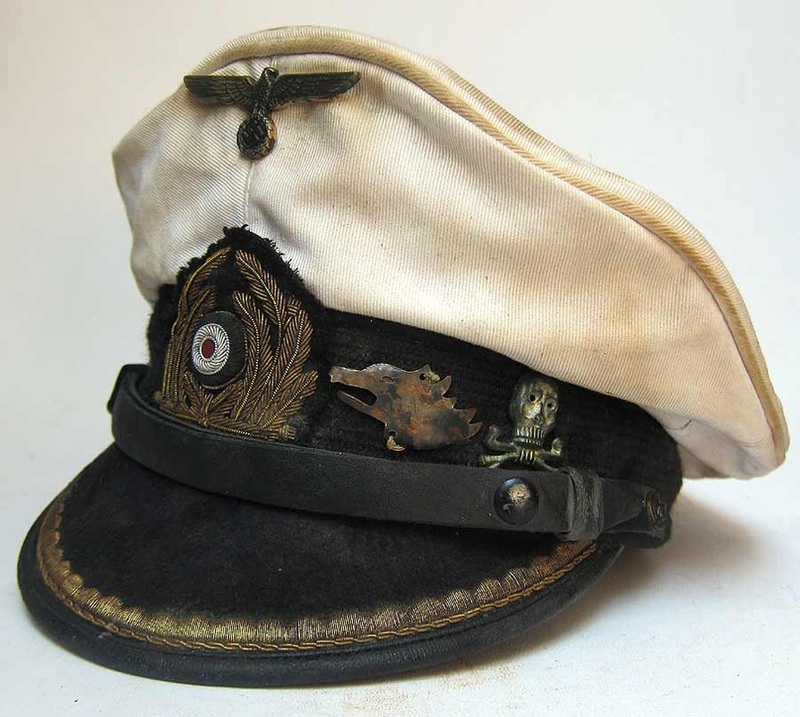 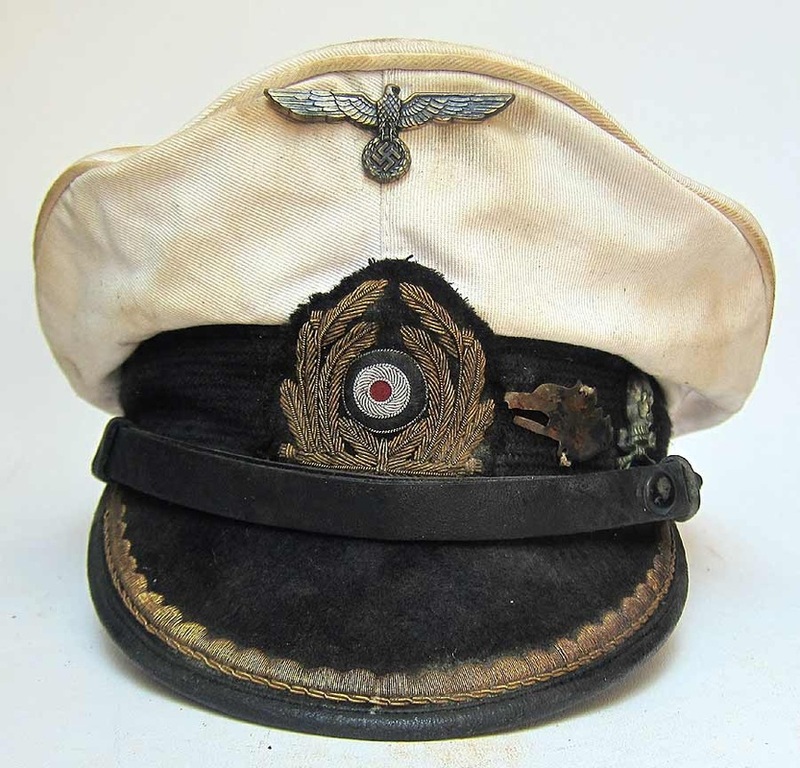 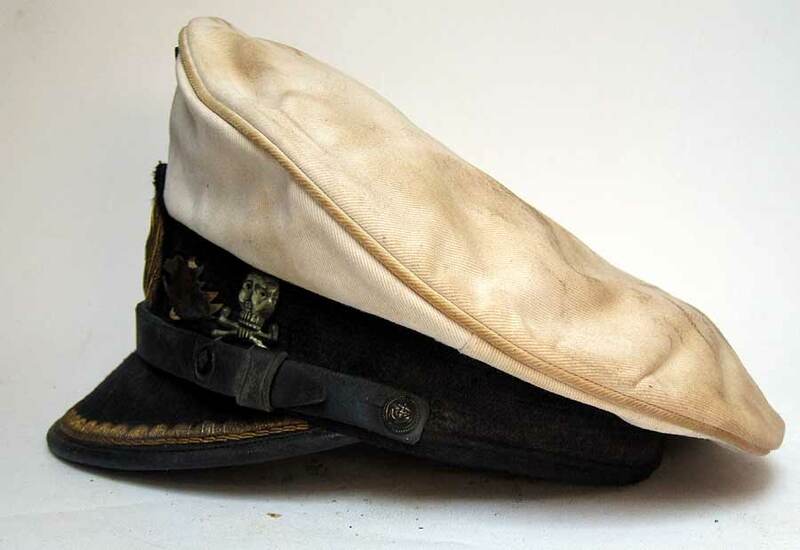 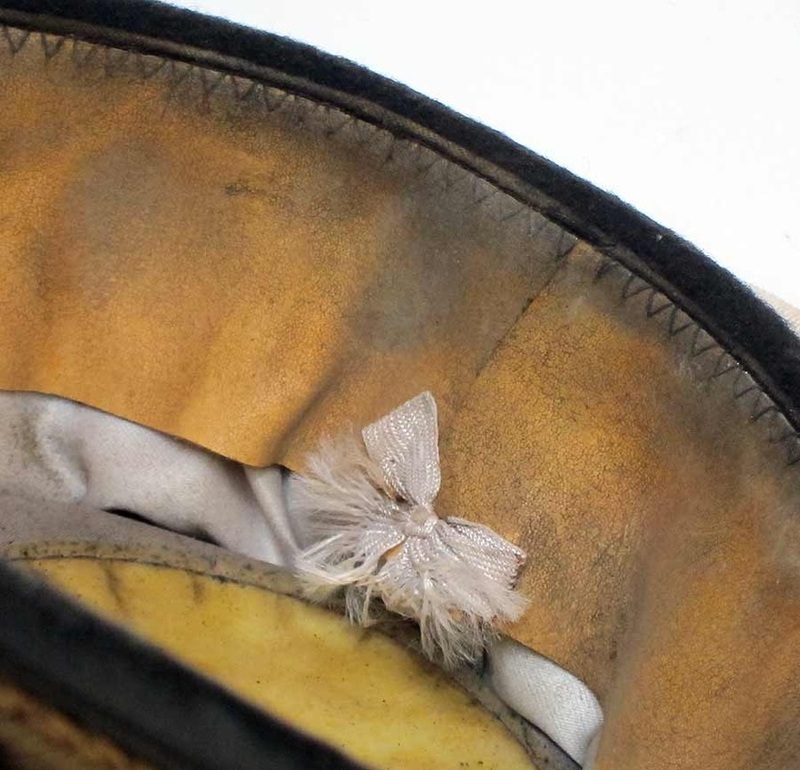 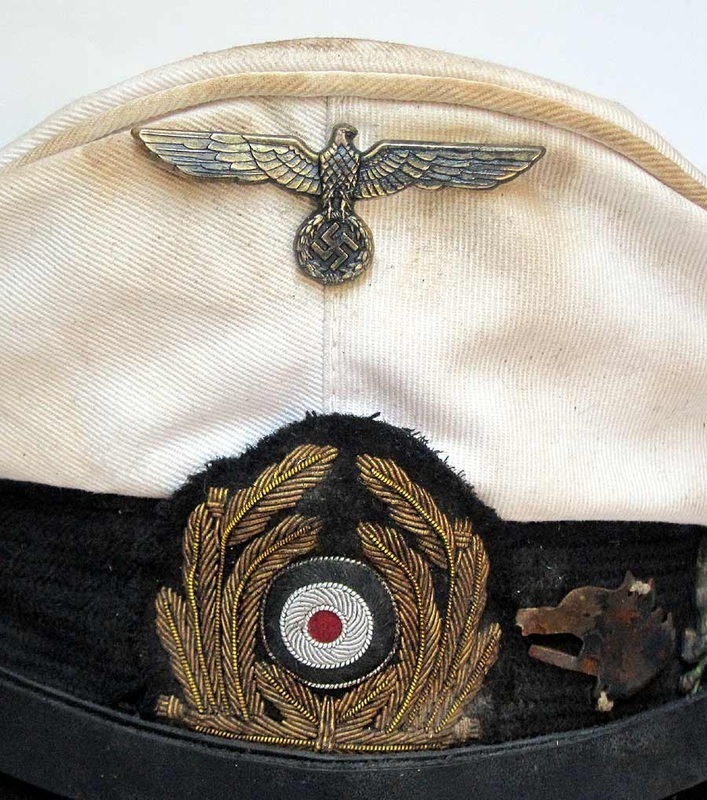 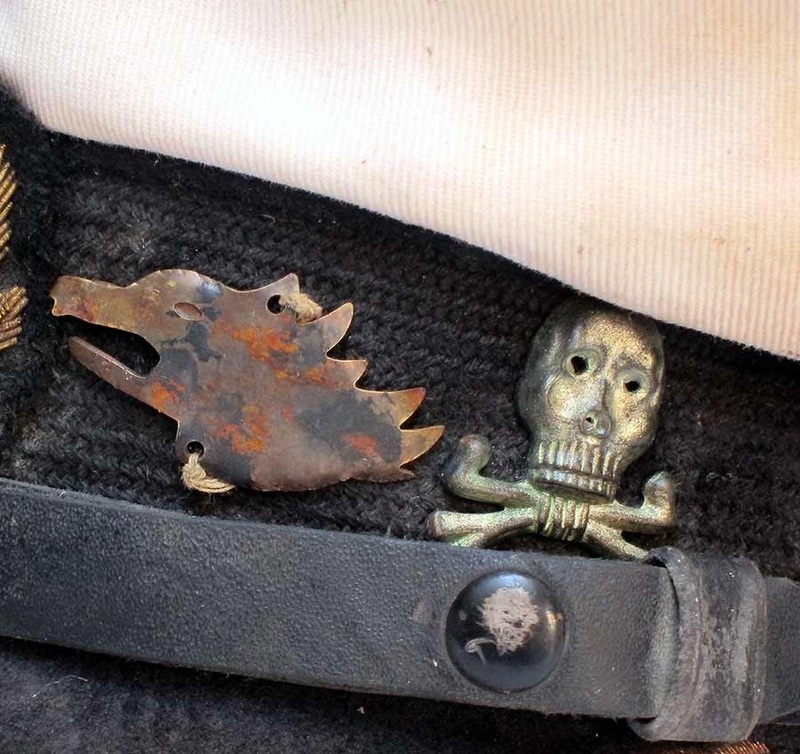 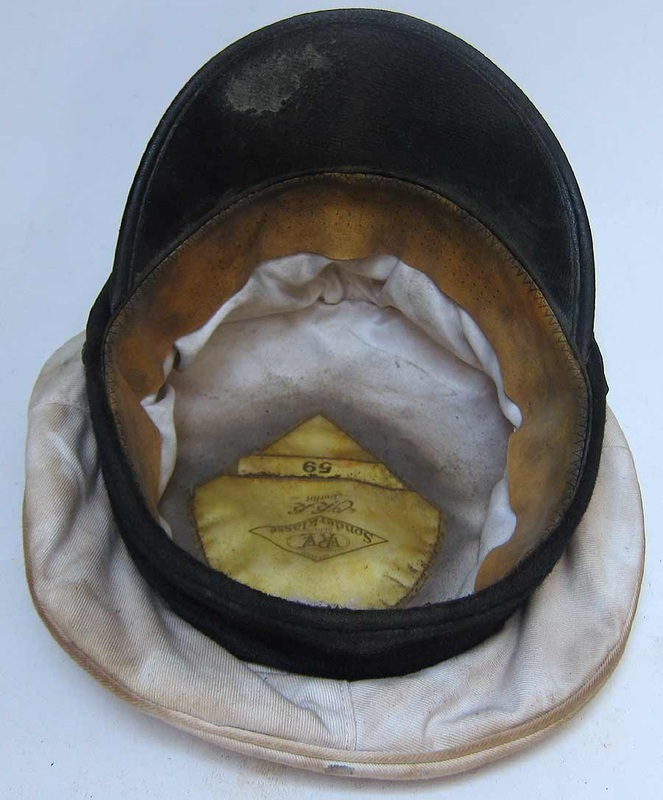 This is a high quality aged peaked Hat from a U-Boat Captain with an very good war record. 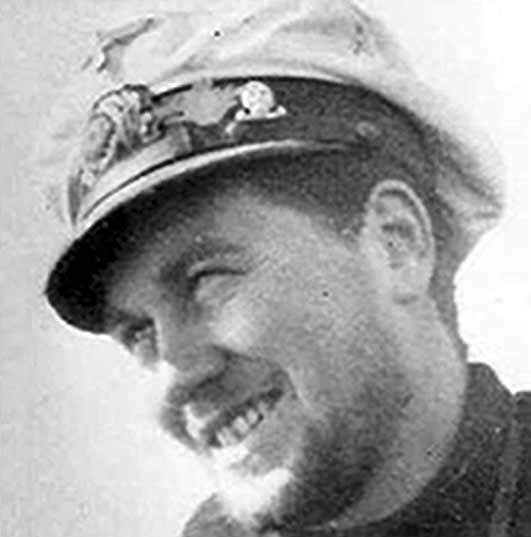 His ship destroyed one destroyer and shot down two enemy planes! 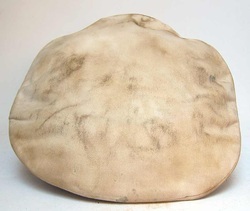 Email us if you want a similar one made to your specification!